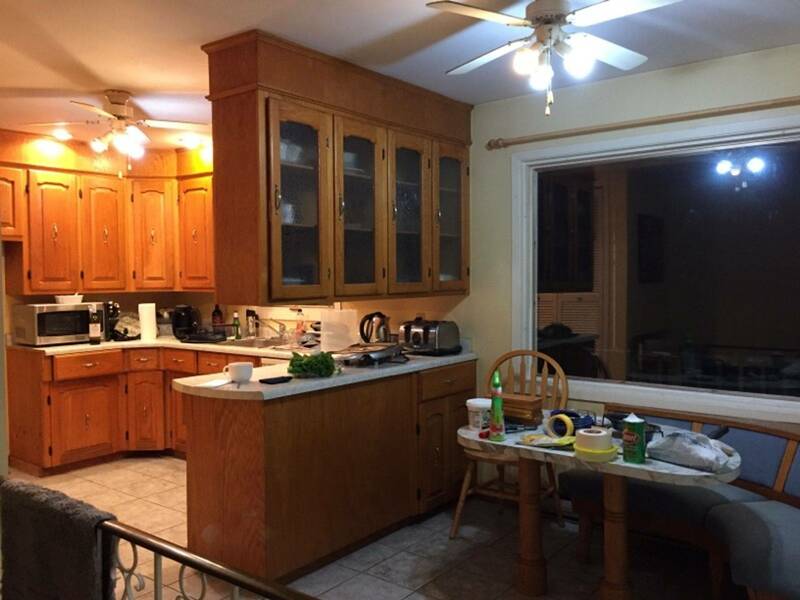 Kitchen Cabinet Refacing Refinishing Doors in Vancouver,Surrey,Abbotsford BC. Call 604-265-9933. 100's of colours to select with cabinet door replacement and counter tops. Are your cabinet doors showing their age? Are the drawer boxes and slides not pulling out smoothly? Maybe you're in need of a quick update before putting your home on the market. 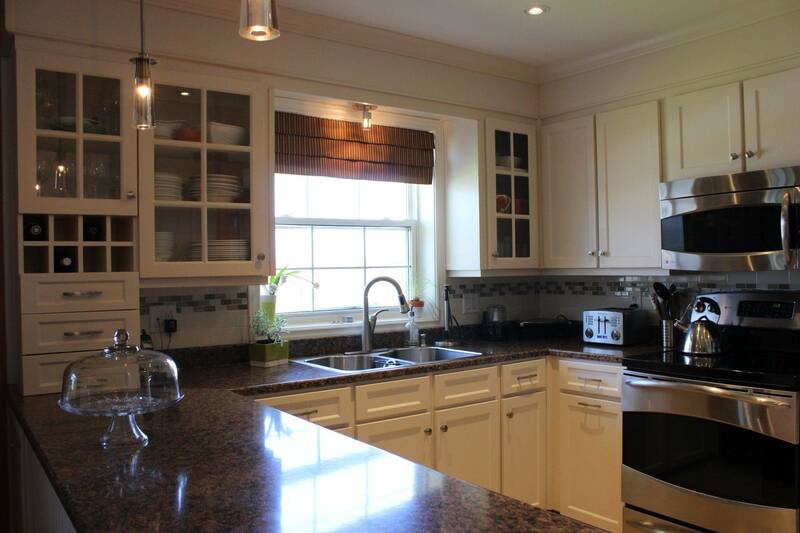 We can simply exchange your kitchen cabinet doors for newer ones. 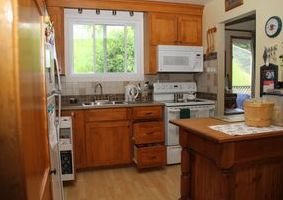 If your cabinets are in good solid condition and you are happy with the layout then there is no need to replace. On average up to 60% of the cabinets are in place. 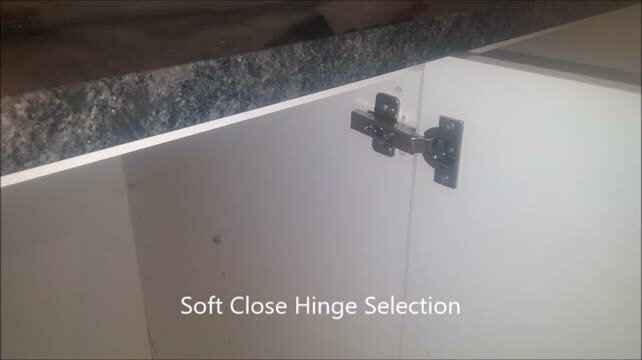 Drawer and handle hardware can be replaced with modern soft close concealed hinges. 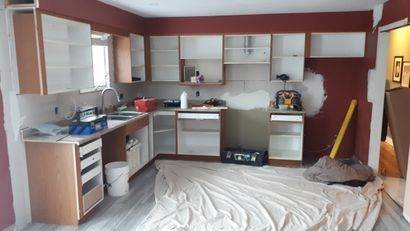 Kitchen Cabinet Painting Surrey, Burnaby, Coquitlam & Langley area are some of the areas we cover. This process has two parts involved. The first part is the removal of the cabinet doors and drawer fronts. The next step is painting the cabinets to match the new cabinet doors. Custom colour matching is available. 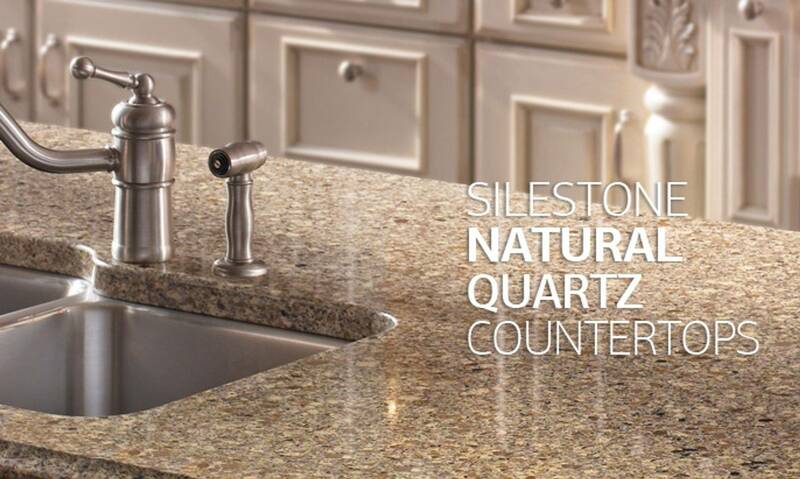 This process is the most cost-effective way to update your kitchen. 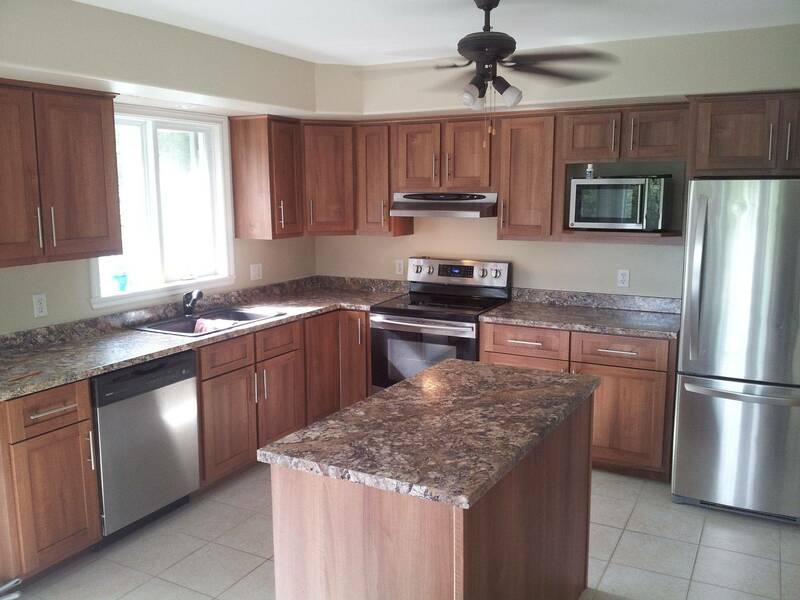 This can be a diy kitchen cabinet refacing project, which allows the customer to do it yourself kitchen painting. 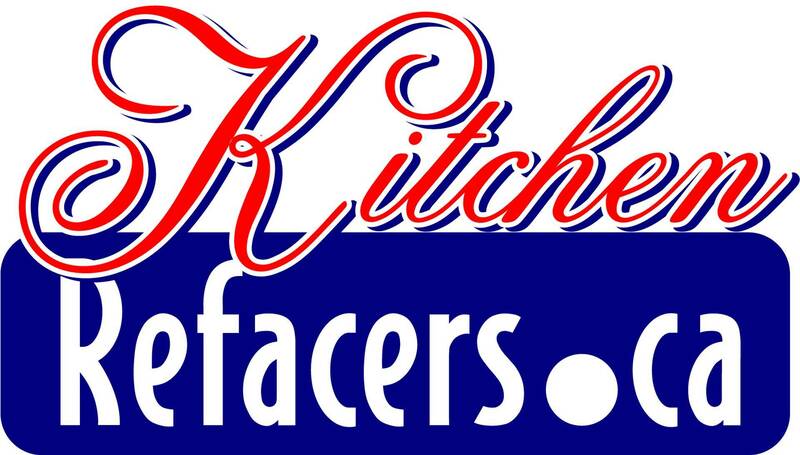 We will provide you with the proper kitchen paint, primer and finishing information. Once the painting is complete we will install new doors with updated concealed hinges. 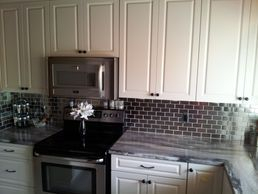 We do offer cabinet refacing in the Coquitlam,Chilliwack, Abbotsford,Surrey Fraser Valley BC area. 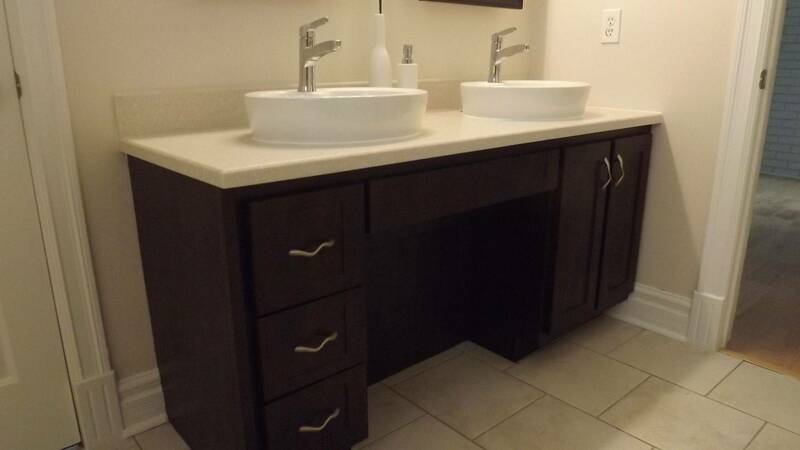 When refacing there is another option which involves applying new end panels to the cabinet sides and applying veneer or laminate to the exterior facing of the cabinet boxes. The end result is greener because less waste is going into the landfill. We also donate reusable cabinet components to the habitat for humanity. Average refacing takes between 3-5 days based on a 10 x 10 kitchen. Want to know more about Vancouver click on Vancouver to learn about it's size and history. One thing I did learn is that Vancouver is the fourth most densely populated city in North America behind New York City. Looking for a job in Vancouver go to Vancouver-BC jobs.